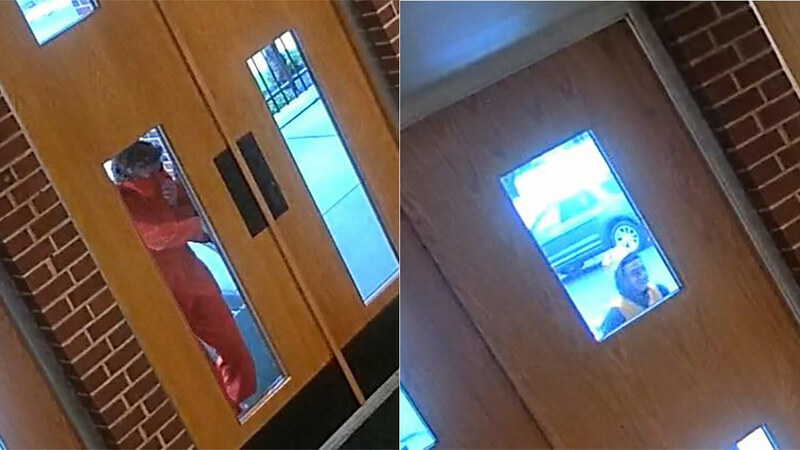 Glassboro police search for church intruders. Jeannette Reyes reports during Action News Mornings on October 29, 2018. GLASSBORO, N.J. -- Police in South Jersey are investigating an unusual incident that happened at a church over the weekend. Glassboro police say three college-aged men wearing Halloween costumes walked up to St. Bridget's Church on the 100 block of Church Street on Saturday. One of the men opened the doors and shouted "God isn't real" before the three ran off. "Due to the tragic events earlier today, and out of an abundance of caution, we'd like to speak with the subjects involved," police said Saturday. Anyone with information should call police at 856-881-1500.